Best Windows, Inc. will beat any written quote for windows with an NFRC U-rating of .27 or lower by 15%. Ignore the high pressure, tonight-only sales pitch. 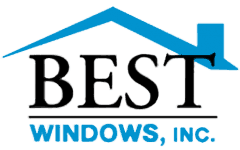 Purchase your windows from Best Windows, Inc. with confidence and know you received the best value! 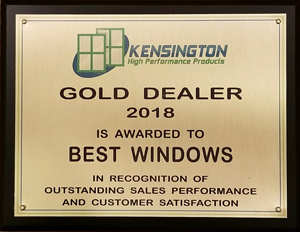 Best Windows’ Chicago customers have relied on the best window replacement company in Chicago IL for residential and commercial window replacement since 1998, building a reputation for honesty, integrity, and genuine commitment to our valued customers. We offer remodeling services, including general contracting, construction management, and design/build services. Our areas of expertise include the installation and replacement of windows, siding, and roofing, and our contractors also design and build decks and patios. All of our staff members are fully insured, licensed, bonded, and EPA lead paint certified. Tired, outdated windows don’t just look tacky and unappealing; they’re also more likely to be poorly insulated. Replacing your windows with Best Windows, Inc. will aesthetically improve your home and save you energy and money. All the products we install are made to a high build specification and boast a range of beneficial features, including foam-filled frames and sashes to add insulation and a tilt-in feature to make cleaning fast and straightforward. All of our replacement windows also have an NFRC U-rating of 0.27 or lower, meaning that the National Fenestration Rating Council has rated them as good for keeping the heat from escaping a home or building. Furthermore, we pledge to beat any written quote for windows with an NFRC U-rating of 0.27 or lower by 15 percent. If you’re tired of repainting and repairing the exterior of your home over and over again, installing vinyl siding could be the solution for you. We offer a wide selection of styles and colors to give your house a clean, fresh look that’s virtually maintenance-free. Furthermore, vinyl siding is an affordable choice for most homes, costing about 11 percent less than cedar siding and 26 percent less than aluminum siding. When you trust Best Windows, Inc. to install your siding, the process is worry-free from start to finish, and our workmanship is guaranteed. In addition to our premium products and affordable prices, we also offer exemplary customer service. In 2011, 2012, 2013, 2014, 2015 and 2016, we received the prestigious Angie’s List Super Service Award, granted to only the top 5 percent of Angie’s List vendors. We are delighted with this recognition of our deep commitment to our valued customers. To find out more about what we can offer or obtain a FREE, no-obligation quote for Chicago replacement windows, call or contact us today. Tired, outdated windows don’t just look tacky and unappealing; they’re also more likely to be poorly insulated. Making the sensible decision to install window replacements gives your home instant appeal, as well as significantly reducing the amount you’ll be spending each year on air conditioning and central heating. Our affordable prices and premium products ensure that your new window installation will be a superb property investment. All the products we install are made to a high build specification and feature a range of important features that give added performance benefits. Our window replacements benefit from an NFRC U-rating of 0.27 or lower; frames and sashes are filled with foam to give additional insulation. An integral tilt-in feature makes cleaning fast and straight-forward. We also offer our customers energy-saving window ranges, which combine form and function wonderfully well. We don’t just say we’re cheaper than the rest; we’re prepared to prove it! 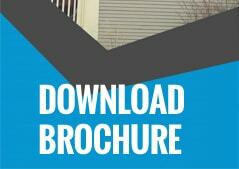 We will beat any written quote for windows in Chicago with an NFRC U-rating of 0.27 or lower, by 15%. Not only are we highly affordable, we’ve also received the Angie’s Super Service Award in 2011, 2012, 2013, 2014, 2015 and 2016! As only 5% of an Angie’s List vendors earn these prestigious awards, we’re delighted with this further proof of our formidable commitment to exemplary customer service. We’re happy to install window replacements or fit suitable products into a new build development. Just let us know what you’re requirements are and we will do our utmost to help. We have been replacement window installers in Chicago IL for more than 15 years. During this time we have built an excellent reputation for honesty, integrity and a genuine commitment to do the best we can for our valued customers. To find out more about what we can offer, or obtain a FREE, no-obligation quote, call us now at (708) 204-2446. 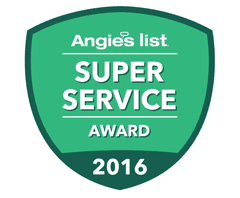 We have received the Angie’s List Super Service Award for 2011, 2012, 2013, 2014, 2015 and 2016. Only 5% of companies an Angie’s List earn this award.